Rui Arrojado sent in this one. 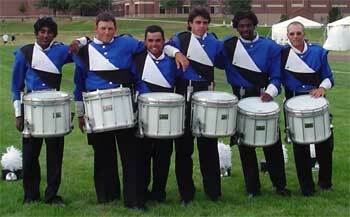 "This is a photo of the 2004 Raiders snare line taken after our last performance at All-City Stadium in Denver. It was a great year and we had a great time. In the picture are (from left to right) Ron Koshi, Dan Granda, Rui Arrojado, Bobby Romero, Jason Williams and Dave Peterson."